THE LEVANT – The Syrian Arab Army’s Tiger Forces and the civilian-led NDF conducted successful military operations in west Hama, liberating the villages of Tal Malah, Kafr Hawad, and Al-Trimaseh. 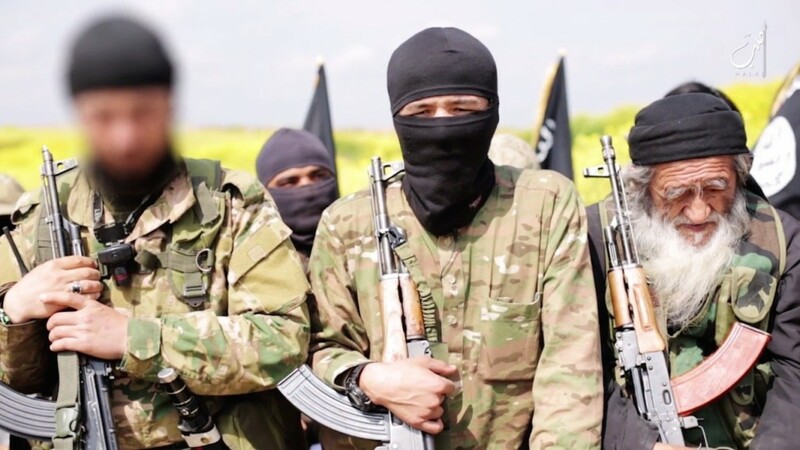 According to a military source, the NDF secured Tal Malah and Kafr Hawad early Tuesday morning, killing dozens of militants from the Islamic Front. Meanwhile, the Tiger Forces swept through the village of Al-Trimaseh, killing scores of militants and capturing 26 members of Jabhat Al-Nusra before declaring the village under Syrian Arab Army control. All three of these villages are located in west Hama, an area where the Syrian Arab Army and National Defense Forces have launched a counter offensive. Two days ago, the Tiger Forces were able to secure the strategic village of Taybat Al-Imam near Mhardeh and Halfaya, closing the gap on the besieged village of Al-Lataminah. Al-Lataminah is all that remains between the entrenched Syrian Arab Army Republican Guard fighters in Morek and Kafr Zita; and the Tiger Forces south of them. Earlier today, the Tiger Forces brokethrough Jabhat Al-Nusra frontlines and entered ‘Itaman (not to be confused with the city in the Dara’a Governate) from the south. Since the capture of Halfaya, the prevelence of grad missiles fired at the village of Mhardeh has diminished immensely; however, members of Jabhat Al-Nusra continue to fire mortar shells towards the Power Plant. The Tiger Forces attack on Al-Lataminah has forced Jabhat Al-Nusra to concentrate resources in this area, halting their siege of Mhardeh. The Syrian Arab Army’s Republican Guard has continued its siege of Kafr Zita and Morek, with intensified attacks in conjunction with the offensive in the south. Yesterday, the Republican Guard advanced in west Kafr Zita after two weeks of heavy bombardments and violent clashes. Should the SAA capture Morek and Kafr Zita, the rebel-held village of Khan Sheikhoun in southern Idlib will be the Syrian Arab Army’s next target. Khan Sheikhoun’s location near the M-5 International Highway makes it an integral area for both opposing parties.